Small business owners should have a consistent data backup procedure in place to ensure that their operations do not miss a beat in the event of a theft, or loss from disaster. When thinking of the correct way a small business owner should backup their data, the story of the passengers of US Airways Flight 1549 come to mind. One passenger back up his data the correct way, secure and at an offsite location; the other passenger back up his data with thumb drives. Guess whose data was accessible once the plane landed in the Hudson? Be sure that your business has a consistent, offsite and secure backup plan for your data. A small business technology consultant can provide a roadmap on the procedures for backing up data, the backup schedule and more. That way your backup won’t have your back out. The economic stimulus package was signed into law earlier this year and many taxpayers are under the impression that they will be receiving a check this year just like the last stimulus package signed in 2008. The 2009 stimulus is setup a little bit differently; taxpayers with W-2 income will see an increase in their paychecks for 2009 and 2010. The increase will be based on the taxpayer’s filing status but will range from $45 to $65. So in a nutshell there will NOT be a check sent to anyone with a W-2. Who will receive a stimulus check are recipients of Social Security, Veterans and Railroad retirement. The payment will be in the amount of $250 and only those taxpayers who were already receiving retirement benefits by January 31 of 2009 will get a check. Small business owners (Schedule C filers) will want to make tax payment adjustments so be sure to speak to your tax advisor to devise a plan and take advantage of the stimulus changes. As many taxpayers scurried around trying to file their taxes (and or extensions) last week many felt a bit of relief when they dropped their return in the mail or had their tax professional e-file their return. Hold on there taxpayers for this is the best time to properly plan for next years taxes while taxes are still fresh in your mind. There have been quite a few tax changes recently and many will affect taxpayers when they file their 2009 tax returns. Be sure to stop by and speak to your tax professional regarding how the new tax laws will affect your future tax filings. Most tax professionals will walk the taxpayer through a post-tax season checklist that covers all aspects of your tax situation whether it is personal or small business issues. By properly planning now, taxpayers can have a less stressful tax season next year. So the last day to timely file your tax return (without an extension) is upon us and many have taken to the streets to either file their tax returns or join in the tea party. The present is the best time for many taxpayers to plan for next years taxes. If you are one of the taxpayers out there that forgot some of your deductions, be sure to file an amended return. Well the day is now over and vacation time is in the future for many in our office. Small businesses are always looking for ways to save money at the same time increasing productivity. One important way to accomplish the task is to invest in technology that is cost effective and can be seamlessly integrated into your operations. Many small businesses are spending technology dollars on “netbooks” instead of laptop notebooks due to their compatibility with existing small business software and their low price. What is a netbook you may ask? A netbook is a small version of a laptop notebook but does not skimp when it comes to features and power. The price of netbooks ranges anywhere from $250 to $400 and sales of them are certainly on the rise. Netbooks do have smaller viewing areas and keyboards; however these are minor issues that can be overcome. Check out PCMag.com’s article to see if a netbook can increase your productivity and net worth. Many taxpayers have more than likely filed their tax returns, but for those that have not; the deadline is one week away. According to a recent article in Accounting Today most taxpayers have been preparing their own returns with off the self and online tax preparation. E-filing numbers are also up for the 2009 tax season. For those taxpayers that have not filed their tax return, an extension may be in order. Be sure to complete Form 4868 (can also be e-filed). The extension of time to file does NOT extend the time to pay. Taxes due must be paid by the April 15th deadline. Speak to your professional tax advisor for additional options if you can not pay the total amount due. Small business owners (especially those that file Schedule C) are getting a little assistance from Congress recently. Congressional leaders are pressing the IRS to ease up the audits on small businesses (see previous posts regarding the tax gap) and let small business owners take advantage of the tax relief provided in the American Recovery and Reinvestment Act. 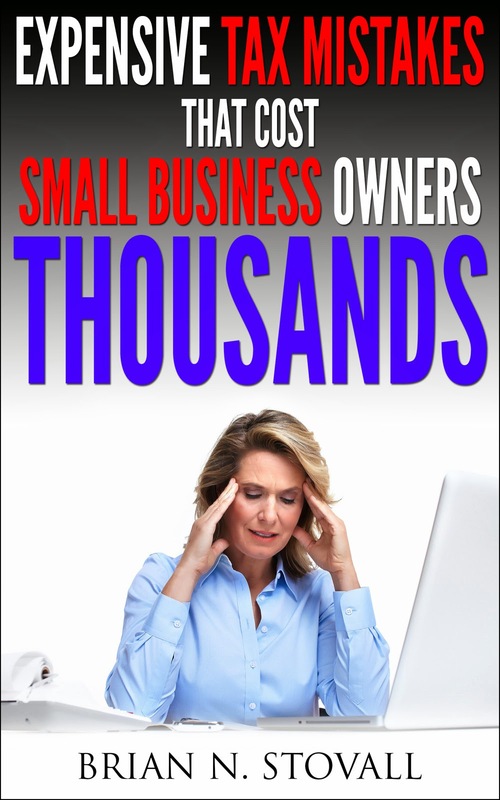 Small business are getting audited more often than their larger counterparts, coupled with the fact that small business are the backbone of the economy, providing the small business owner a helping hand may be a good idea. Blog readers can be rest assured that we will keep you posted on any changes that will benefit you and your small business. Be sure to speak to your tax advisor regarding how the American Recovery and Reinvestment Act will affect your small business this year. Today is the day of pranks all over the country and although most April 1 pranks are suppose to be harmless and fun; the Conficker worm is no laughing matter. For those that are worried about their computer systems being compromised, be sure to get all the facts regarding the Conficker worm. According to an article in PCMag, the worm should (and I emphasis should) not harm many of the computers operating in the U.S. that is if those computers are not loaded with updated anti-virus and malware software. Another security procedure that many should take is to ensure that their passwords are strong and updated regularly. This reader was also surprised to learn that the Conficker worm is mainly a Microsoft XP issue. Be sure to check out the PCMag article for ways to protect your computer and remove the worm if you have it already.